As part of our ongoing efforts to provide transparency, we recently hired the accounting firm of McSwain and Company, PS, to provide independent verification of our published results. Emmett Moore of TradingSchools.org is the “terror” of Trading Educators, Trading Room Operators and Trade Advisory Services. Having him review your service is like having 60-minutes show up on your doorstep. If your claims are not 100% verifiable, then he will embark on a “scorched earth” campaign to reveal you. 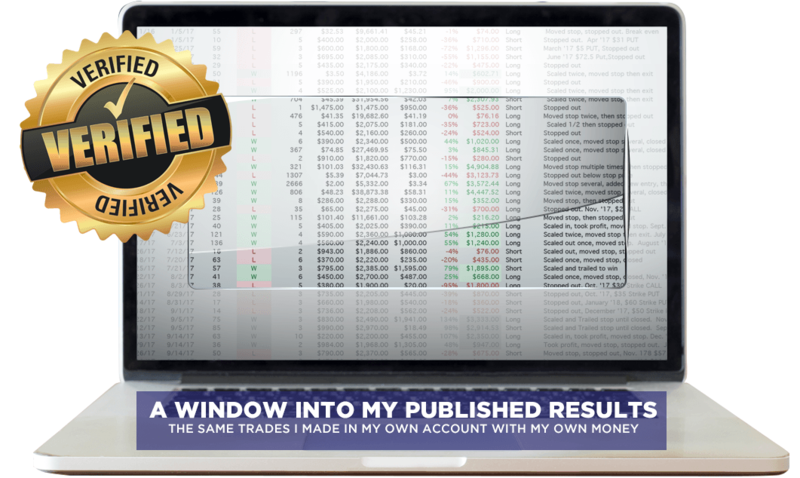 Emmett contacted Dean Jenkins of FollowMeTrades in November of 2016 and performed his usual, in-depth, investigation of our published track record. He interviewed Dean at length, examined real brokerage account statements, and attended live subscriber update sessions. After his investigation, Emmett wrote a glowing review of the service (99% of the services reviewed get negative scores!) and even signed up as an affiliate to help promote the service. After the positive response to the TradingSchools.org review, Dean Jenkins realized how important it was to potential customers to have objective, external validation of his service. To help provide additional transparency and to build credibility with potential customers, Dean engaged the services of a CPA auditing firm, McSwain and Company, PS, www.mcswaincpa.net to review the track record that he is publishing, and to provide external, objective evidence that what he says he is doing, is actually true and verified. In addition, Dean signed up with the Better Business Bureau, to provide additional verification of his credibility and an objective, verified forum for customers to give feedback on the service. Click on BBB Logo to see what verified (by the Better Business Bureau) customers have to say.